This is the Jewish music for everyone. 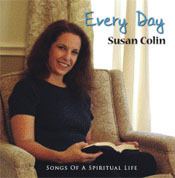 Susan Colin is an award-winning singer, songwriter, Cantorial Soloist, service leader and performer. Her voice, described as angelic, warm, and soothing brings a depth to the many styles of music she performs. Her engaging and personable style appeals to adult audiences who appreciate an uplifting, inspiring experience. 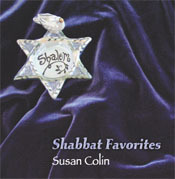 Incorporating familiar Jewish songs and themes along with original contemporary songs that cross the boundaries of adult contemporary, soft jazz, folk, Klezmer, and other enticing musical styles, Susan's performances are a perfect enhancement to your worship, education, and social programming. Great for interfaith audiences too! 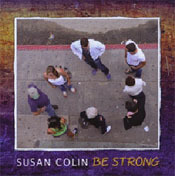 Susan's music has been broadcasted on National Public Radio stations, Hospice Healing Radio, and numerous internet radio programs. 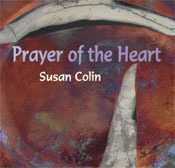 Listeners around the world use her songs for weddings, funerals, healing services and worship services. 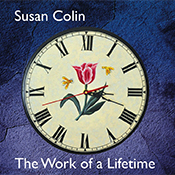 Thanks to the Sunday Simcha radio shows on WFDU, 89.1FM in Teaneck, NJ, WMPG 90.9 in Portland, ME, WSIA 88.9FM in Staten Island and WMNF 88.5FM in Tampa for playing Susan's music. Copyright (c) 2008 susancolin.com. All rights reserved.